The Seven Passes Initiative is a successful violence-prevention initiative that for 10 years has provided support and assistance to parents and children in the Touwsranten community. The organisation collaborates with the UCT Department of Psychology and the Institute for Security Studies to develop and assess their programming. The parenting programmes used by the Seven Passes Initiative are those of Parenting for Lifelong Health developed collaboratively by UNICEF, the World Health Organization and several universities – including UCT – to be suitable for low-resource settings. The parenting programmes used by the Seven Passes Initiative are those of Parenting for Lifelong Health developed collaboratively by UNICEF, the World Health Organization and several universities – including UCT – to be suitable for low-resource settings. Touwsranten is the only community where all four programmes are currently being rolled out, alongside a community development initiative that works to support and amplify what the programmes achieve. The four programmes are Thula Sana, a homevisiting programme that starts during pregnancy and finishes when the baby is six months old. a book-sharing programme aimed at toddlers, which helps children improve their vocabulary, attention span and theory of mind – the foundation of empathy. Parenting for Lifelong Health for children two to nine years old, which helps parents manage their children’s behaviour. Parenting for Lifelong Health for parents and teens 10 to 17 years old. The World Childhood Foundation is also funding research by UCT and the Institute for Security Studies to assess whether the programmes and the community development initiative are in fact shifting parenting behaviour. 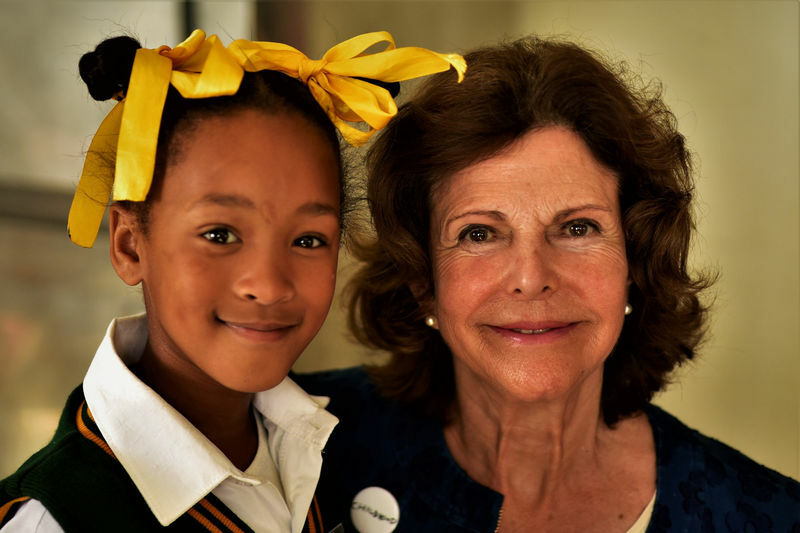 Queen Sylvia of Sweden poses with Rayneshia van Rooyen from Touwsranten Primary School. Sweden’s Queen Sylvia delighted residents of Touwsranten, a small town in the Western Cape, and staff of the Seven Passes Initiative earlier this month when she visited with board members of her World Childhood Foundation, which funds and supports Seven Passes.